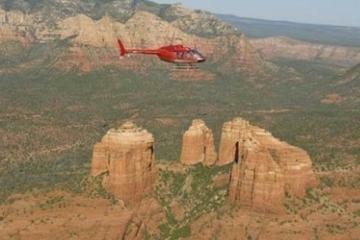 Sedona is known for some of the most memorable Sedona helicopter tours. 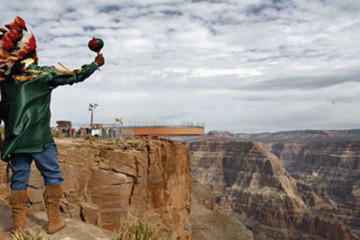 Considered one of the most popular attractions, many love the area just as much as the Grand Canyon. Known for the beauty, vortexes, Sedona is also loved for its surreal red rock formations that attract people from all around the world. Many refer to the area as rugged, while others refer to it as simply tranquil or mysterious. One thing is for sure though... if the idea of helicopter tours in Sedona has been on your mind for any length of time, it's no wonder! These attractions offer a view like no other. You can be sure that even the best hiking tour cannot compare. This is definitely a visitor favorite! 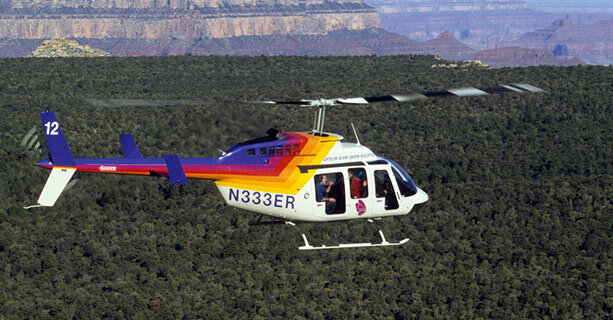 No matter how many times you have been to Sedona, you owe it to yourself to book one of these tours… this is a 25-minute helicopter tour in Sedona that AIMS to please. Experience these ancient attractions with your knowledgeable pilot who will fly you directly over the Red Rocks, more specifically, the Red Rock-Secret Mountain Wilderness. Inside the tour itself, you will be able to see the very ancient cliff dwellings of the Natives, known as the Sinaguan’s, who lived here between 500 AD and 1425 AD. Don’t be fooled with this 15-minute tour! 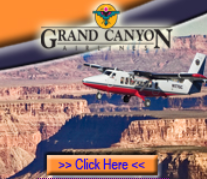 You will still receive an awesome trip that will introduce you to some of the most stunning attractions… you will fly over some of the same attractions as other packages such as the Three Nuns rock formation and more. With all of the countless activities in the area taking a 15-minute Sedona helicopter tour just may be the answer to your trip’s highlights! Capture the experience by taking pictures with your camera or on video. Either way you cannot go wrong. Many people enjoy this tour because even though it is a shorter tour, it still offers some of the finer attractions that are very accessible. 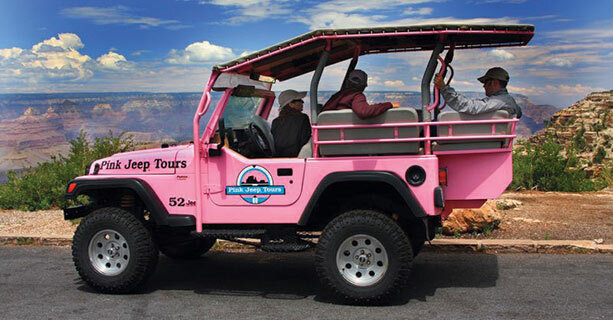 Simply book your tour and be waiting at your favorite Sedona hotel because they will pick you up which makes it very convenient. Leave the rest up to your pilot as he will have you soaring through the air, exploring those magical views that others only dream of. Check out the famous iconic formations inside what is called “Red Rock Country.” This 35-minute tour offers the attractions of the shorter versions but obviously you will have more flight time exploring the famous attractions… Scenic views of areas such as Bell Rock, Snoopy Rock, Secret Canyon and plenty of other sights that will have you “OOOIng” and gasping for breath as you feel the excitement racing through your entire body. 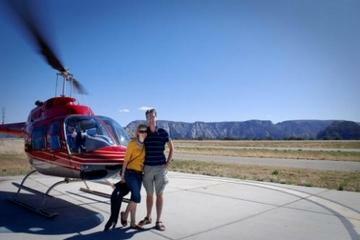 One Scenic helicopter flight you will likely not forget… EVER! You know you want the ultimate experience and it's here for the taking! This "grand daddy" package will take the word explore to a whole new level. By air, pontoon boat and foot... it doesn't get any better than this. 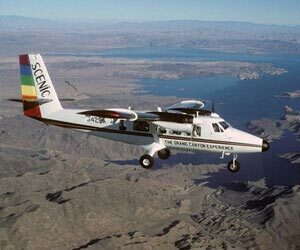 You will soar through the sky soaking in all the gorgeous aerial views your personal pilot uncovers down through the Colorado River along the Grand Canyon. If you choose, you can also visit the Native American cultural performance on the Skyway! Afterward, enjoy a delicious BBQ lunch next to the rim of the Canyon. Most people would agree that the area is one very special place in AZ! Once you take one of these narrated adventurous trips over the precious and sacred Red Rocks, you will instantly realize you have found an attraction that will soon have you coming back for more! The area is packed full of memorable scenery for hikers, mountain activities, and the world famous hidden canyons but these excursions take your experience to a whole new level. Discover views like no other... imagine these natural wonders that have been carved out thousands of years ago as you hover over, both high and low, getting up an up close with a very intimate experience. Make sure to bring your camera as the photo opportunities are ripe for the picking! Your pilot will be sure you have the best possible photos as he glides in close to these formations. You will be taken to places you may have never even dreamed of... 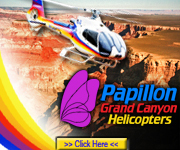 These helicopter tours in Arizona are perfect for all ages. Even the 25-minute ride around the region’s mountain highlights will show you the utmost memorable in ancient attractions over the red rock formations. No matter which package you choose, you will still be treated to a luxurious ride offering you and your group unobstructed Red Rock views. 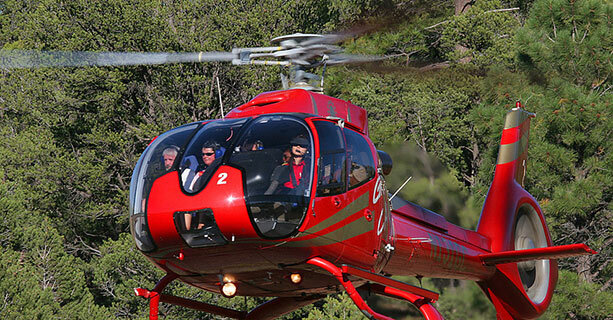 Are Sedona Helicopter Tours Affordable? Another nice thing about these adventures is that you don't have to break the bank to take advantage of these tours. 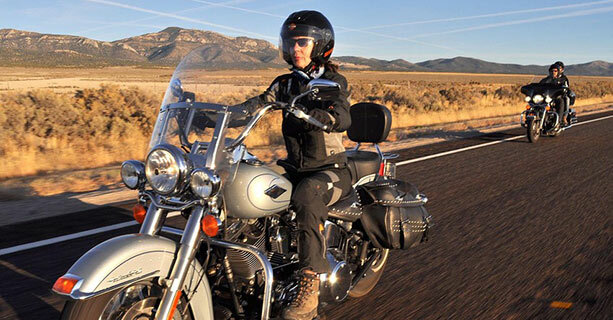 Prices are very reasonable and you can be sure to find some of the best deals of any Sedona tours. Still not convinced? Consider this…. 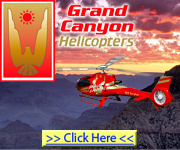 if you want the best possible and closest intimate interaction inside the heart of Sedona, you won’t find a closer or better view than these offered Sedona helicopter tours. Period.